Hot smoked salmon pasta is one of those dishes I could eat almost every day. 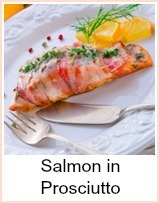 There's a fabulous flavour and texture, different to regular smoked salmon. The difference is in the treatment - as a rule, this type of smoked salmon is cold cured in brine, dried so that a 'pinnacle' forms and then is put into a 'hot' smoker. I've done a video on hot smoking salmon which is below. I use a Nordic Hot Smoker which is fabulous. It's dryer and firmer in texture, but oh so beautiful to eat. If you want to see photos of how they get hot smoked salmon, click on the link. There's even instructions on how to make your own smoker! I don't know if that's worth it, but you can at least have a look. This recipe is a combination of a creamy Alfredo sauce, with sliced mushrooms, calabrese florets all mixed into linguine, topped with hot smoked salmon. The recipe will serve three to four people depending on their appetite for pasta. The quantities for the Alfredo sauce are approximate - the photo of my dish above, well, we were a bit greedy with the sauce as there were only two of us to share. I prefer my pasta less 'saucy' as a rule, but this combination of cream and cheese are hard to resist. First, boil the pasta in plenty of salted water - that will take around 8 minutes but the pack will tell you exactly. Once it has cooked, drain and put the lid back on to keep it hot. Whilst this is cooking, get a griddle pan or frying pan and cook your hot smoked salmon, it will probably need around 2 minutes per side. 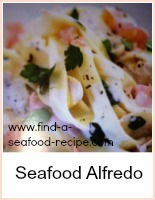 Prepare your Alfredo sauce by melting the butter, whip in the cream and allow to simmer for 5 minutes or so. Add the parmesan and stir it all together. Add the cooked calabrese and mushroom and then stir all that into your pasta. 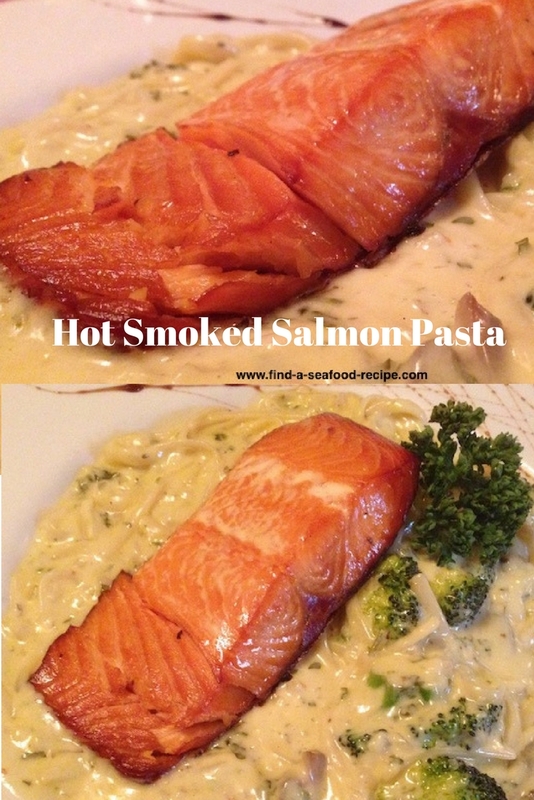 Divide the pasta between your serving plates (I prefer a dish to serve pasta in as it keeps it hot for longer) and place the hot smoked salmon fillet on top. 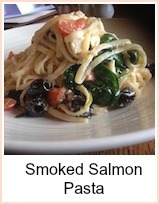 For a variation, where you mix the hot smoked salmon pasta, watch this video. 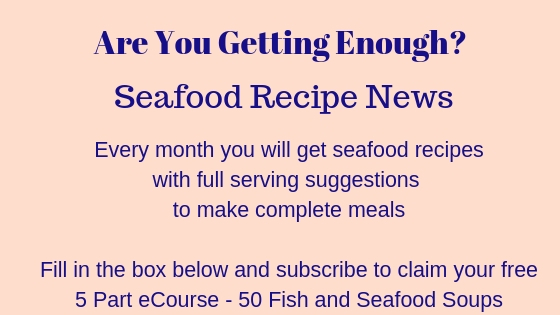 It's super easy and tasty and you can use one fillet or less between four people! Great for leftovers or for making a little go a long way. Boil the pasta and whilst it's cooking mix together your salmon, cheese and seasonings. Drain and reserve some pasta water, tip the pasta back into the hot pan. Add a tablespoon of water to the salmon and cheese mix and tip it into the pan. Stir it all together so that the sauce coats the pasta. Serve immediately with some optional chopped dill sprinkled over.